Ram Charan’s Govindudu Andarivadele teaser trailer will be launched on August 7th. Producer Bandla Ganesh has confirmed the news. Ram Charan is pairing up with Kajal Aggarwal in the movie and Krishna Vamsi is the film’s director. The family entertainer casts Srikanth, Kamalinee Mukherjee, Prakash Raj, Jayasudha in other prominent roles. The current schedule shoot is taking place in a special set erected at Nanakramguda, where some key scenes are being filmed. 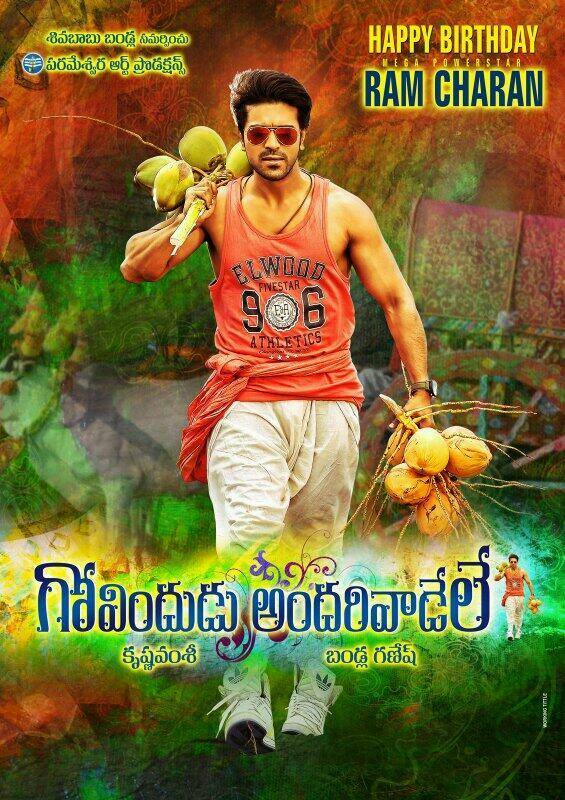 Govindudu Andarivadele is a big-budget movie being made on Parameswara Arts production banner. Yuvan Shankar Raja is the music director. Govindudu Andarivadele is slated for October 1st release.